South Staffordshire Council’s recent investment in acquiring and developing a 60,000 square foot industrial unit within the Four Ashes Industrial Estate has resulted in a local company expanding its business and creating more jobs. 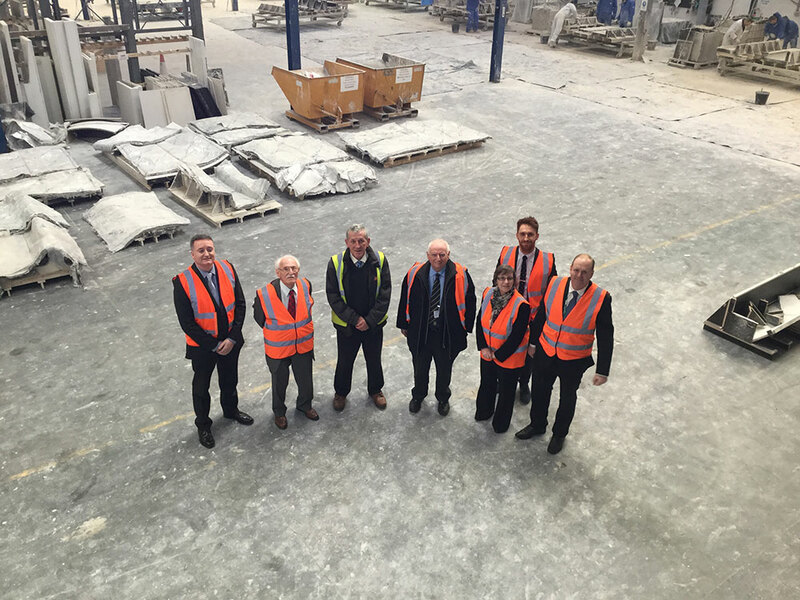 Telling Architectural Ltd, a specialist manufacturer of glass-reinforced concrete (GRC) for building façade panels, moved into the new premises in July 2016 and is going from strength to strength. The company makes architectural façade panels for many of the premier construction projects in London and Birmingham and is fast becoming one of the largest manufacturers of GRC in the UK. Jobs have increased by 50% already and in creating this new facility, the Council has helped a local business expand and supported the local economy. Leading property consultant Bulley’s Chartered Surveyors assisted the Council in the acquisition of the vacant Unit and in the negotiations for the new long term lease. This process helped the Council and Telling Architectural redevelop and give a new lease of life to a dilapidated 60,000 square feet industrial unit. Mike Wood, Director at Telling Architectural Ltd. said, “The new facility is absolutely first class. The local authority having the confidence to support a relatively small company that was turning over just under £6 million has made a huge difference to us. It’s a great location and having this building means that Telling Architectural has the necessary space it needs to expand and potentially triple its production as well as increase its 60-strong workforce to 90 people over the next three years. In terms of employment, we feel we’re quite blessed with Wolverhampton. Getting the right skills is the important thing and at Telling Architectural we do our own design and prefabrication drawings. We have nine draughtsmen, all local people, who’ve joined us and we’ve also recruited a number of youngsters from the architectural courses at the University of Wolverhampton. 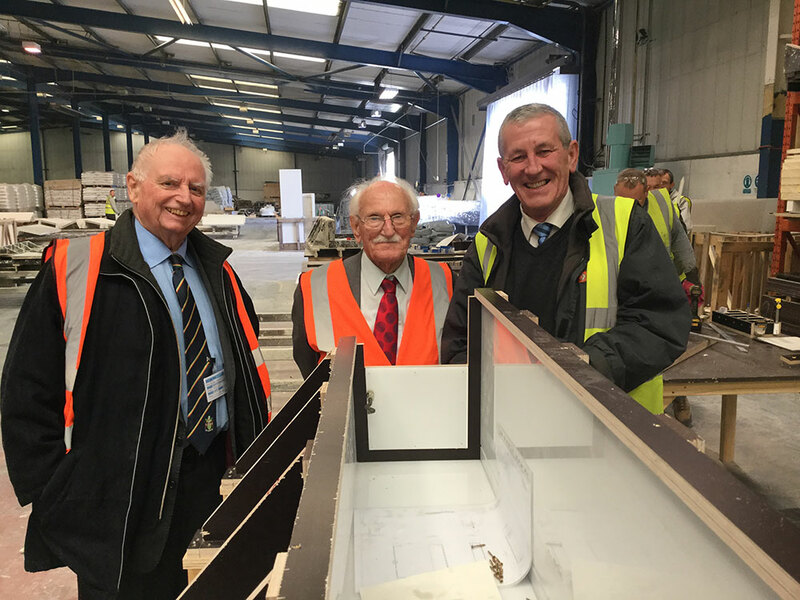 Left to right: Pictured during a tour of the facility are Councillor Brian Edwards MBE, Leader at South Staffordshire Council, Councillor Roy Wright, cabinet member for direct services at the Council, and Mike Wood, Director at Telling Architectural Ltd.
Left to right: Pictured during a tour of the facility are Steve Perriton, Partner at Bulley Chartered Surveyors, Councillor Roy Wright, cabinet member for direct services at the Council, Mike Wood, Director at Telling Architectural Ltd., Councillor Brian Edwards MBE, Leader at South Staffordshire Council, Jackie Smith, Corporate Director (Commercial) at South Staffordshire Council, Adam Fleetwood from Wotsit Design, and Andrew France, Commercial Services Officer at South Staffordshire Council.